I love that Brandon and Brittney wanted the adventure of an elopement but still wanted to celebrate with those closest to them. Some of their family had never traveled outside the country so their wedding was the perfect excuse for the whole family to finally get a vacation of a lifetime. Their vows will make you tear up and the views will leave your jaw on the floor. After ten years together, Jac and Chelsea wanted to start a new chapter by going on an adventure. 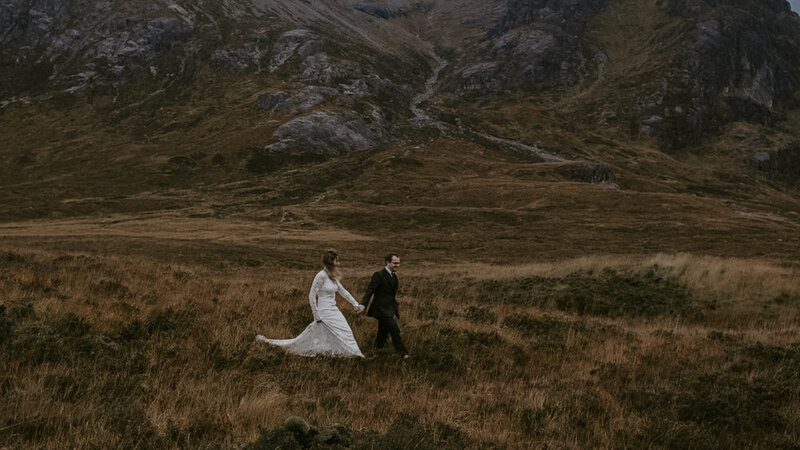 They kicked off a three week Scottish road trip by exchanging vows a few hours north of Glasgow. Along with my best friend and the fantastic photographer, Melissa Marshall, we stood by (in the rain) to capture it, so they had something to treasure and share with their families.